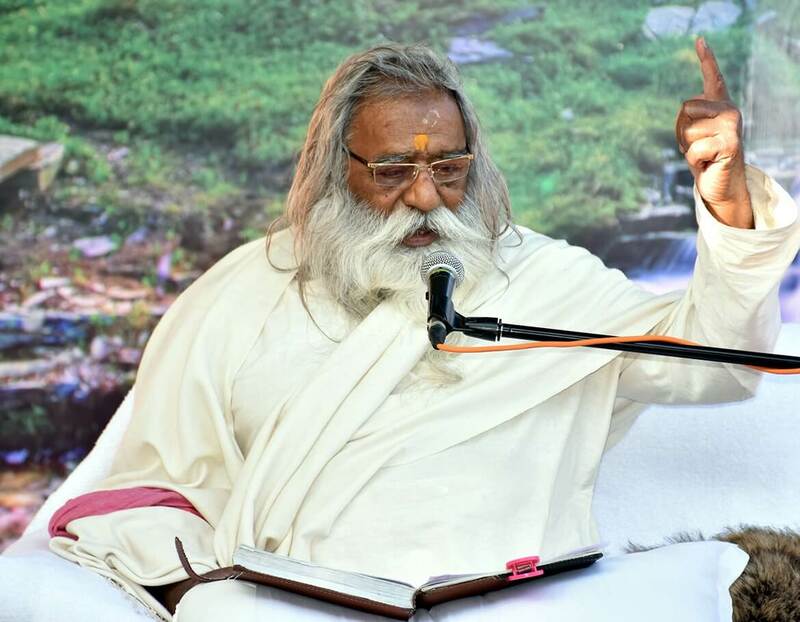 “Yatharth Geeta“ by Swami Adgadanandji Maharaj, a great saint of India, is Dharm and Dharmshastra for all, irrespective of their caste, creed, race, religion, Dharm & community and is for all times and space. The Geeta is a divine song conveying spiritual gospel revealed by Lord Krishna 5200 years ago to his beloved disciple – Arjun. 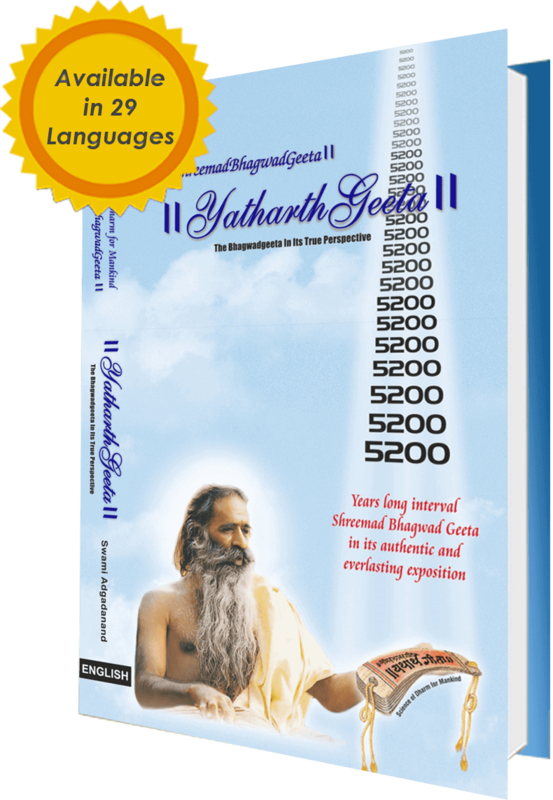 In accordance with Yathartha Geeta, as soon as you begin to study the teachings of the Geeta, the God would guide you to the right Guru. You will be guided from within. Your doubts would be dissolved. You will be awakened from within and would gradually proceed on the path of divinity. 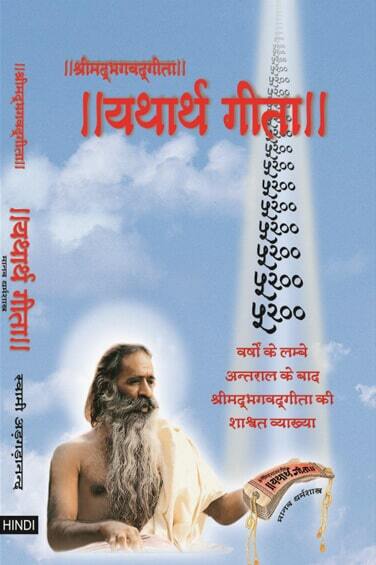 There is only one Geeta in this universe. Where are different Geeta? More than five thousand years ago the civilization was smouldering in the violent inferno of hatred. Large armies of Kauravas and Pandavas stood facing each other for war. 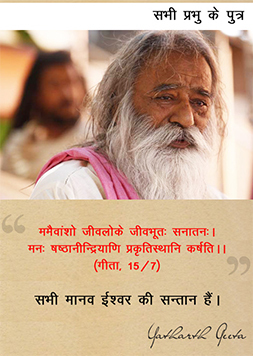 Amidst them Lord Krishna sermonised the Geeta, but there were only two listeners. One was Arjun, while other listener was Sanjay who was listening from afar. They both were blessed with divine vision and comprehension – the former was blessed by Lord Krishna whereas the latter was gifted by Ved Vyas. There are only two listeners, whereas ears and eyes of others were open, but none could listen or observe anything. Those millions of eyes and ears didn’t have the power or capacity to perceive or understand it. 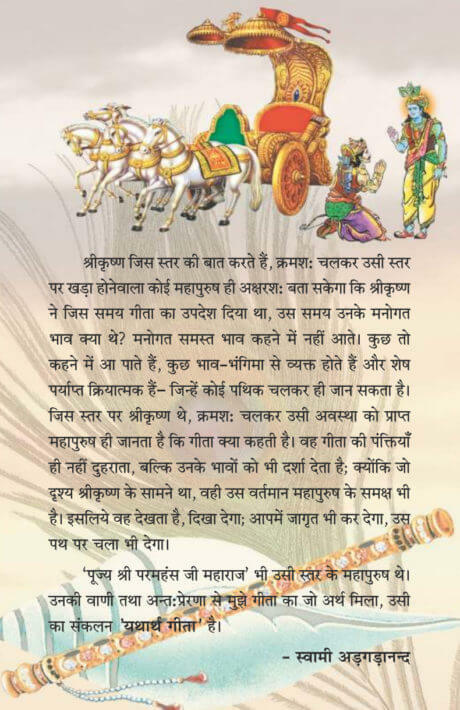 Till date whoever has heard about Srimad Bhagavad Gita has realised that, this scripture was instrumental in the great terrible war of Mahabharat. 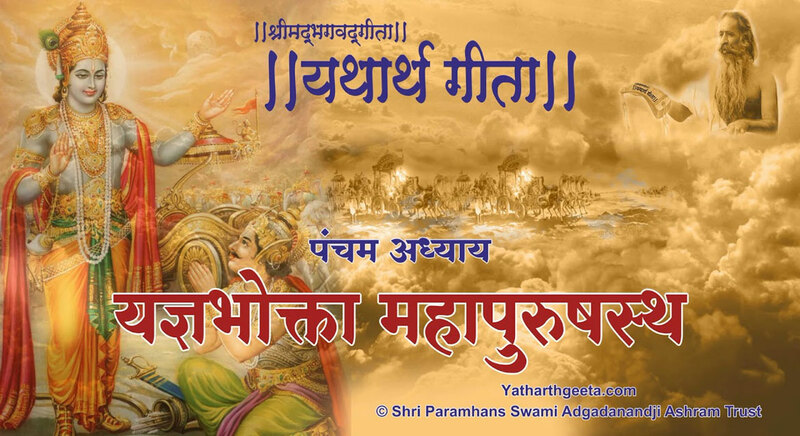 Although the war was fought, Yatharth Geeta says that, a war fought in accordance with Geeta is not a war among the living beings but obliterates the existence between the nature and the Supreme Being and the result at last is universal conquest. This is a war within oneself. 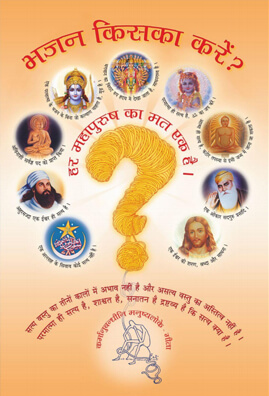 Take a look at the Yatharth Geeta & ask yourself the question? 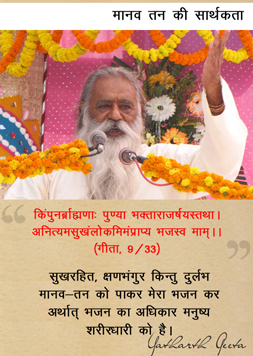 Shri Paramahans Maharaj Ji was born in Ramkola village of Deoria District of Uttar Pradesh in an ordinary family. His mothers name was Fulmani Devi and fathers name was Shri Jagrup Sharma Ji. When an eminent astrologer saw him as a child he asked, How did you beget such remarkable child? He would either grow up as a king or an accomplished guru! 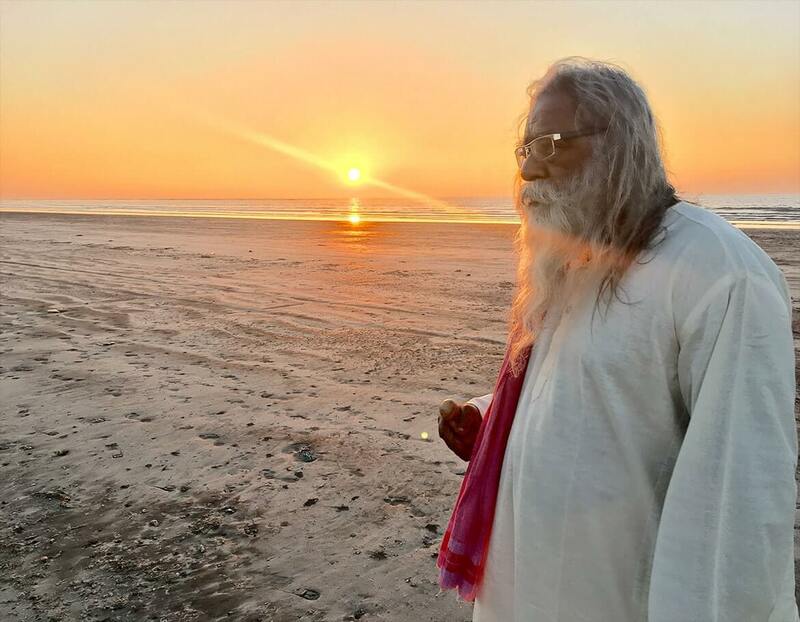 Swami Shri Adgadanand Ji Maharaj came to the recluse of the worldly saint Paramanand Ji at the age of 23 years in November 1955 searching for the truth. The hermitage of Parmanand Ji was at Chitrakoot Anusuiya, Satna, Madhya Pradesh (India) amidst the dense forests infested with wild animals. Living in such inhabitable forest in the absence of any facility, this rightly reflects that he was a great sage. You can see the latest list of our events here, you can also join us on our upcoming events. सर्वप्रथम गीता की उत्पत्ति कब हुई? 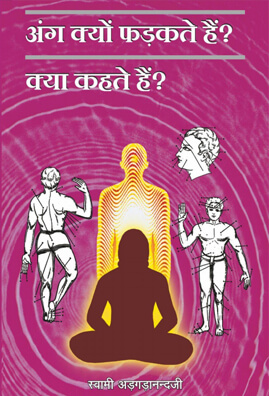 क्या गीता ब्रह्म विद्या है? ईश्वर के प्रति श्रद्धा कैसे स्थिर करें? Subscribe to our newsletter to receive everyday quotes & updates.